Hi; Happy Saturday, it's time for a new Allsorts Challenge! We want to see "Christmas Creatures". 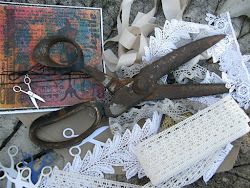 Prize comes from Tattered Lace. Homemade texture paste, hemp twine and button. I'm so late with my Christmas Cards - I have to do more than one at the same time. That's a really lovely image Mervi and makes for really elegant cards. hello! super cute CAS card, I luv the image and design! I am so glad you played along with us at simon says stamp wednesday challenge! A lovely scene, such a beautiful stamp and great looking snow detail. Three gorgeous cards, love the images and the lovely design. Hi Mervi, lovely simple card. Thank you for playing with us at Colour Crazy challenge. Hope to see you again. 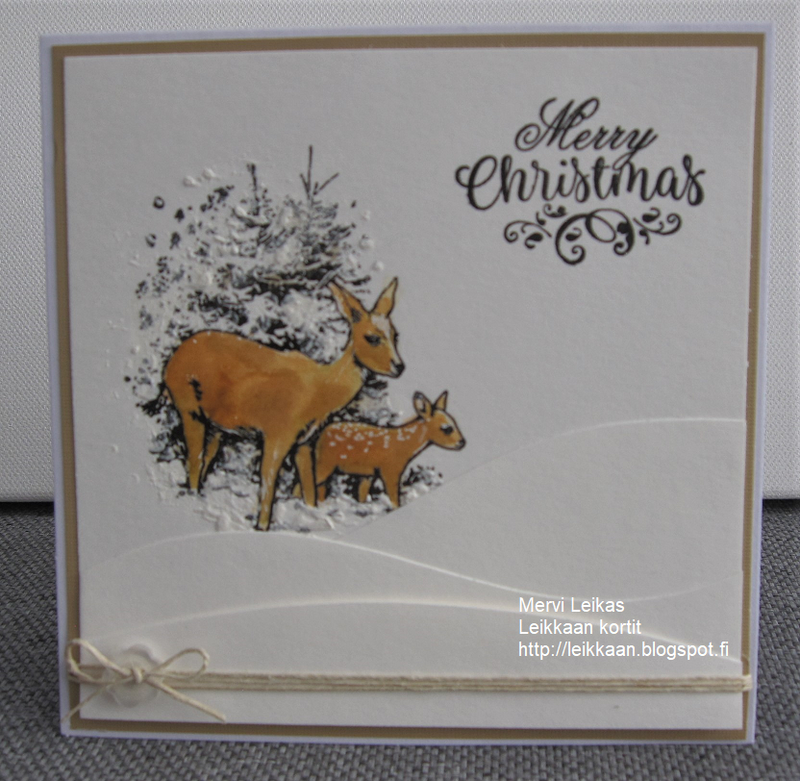 What a gorgeous card, I love the winter scene you created! Thanks so much for joining us at the Holly & Ivy Christmas Challenge! 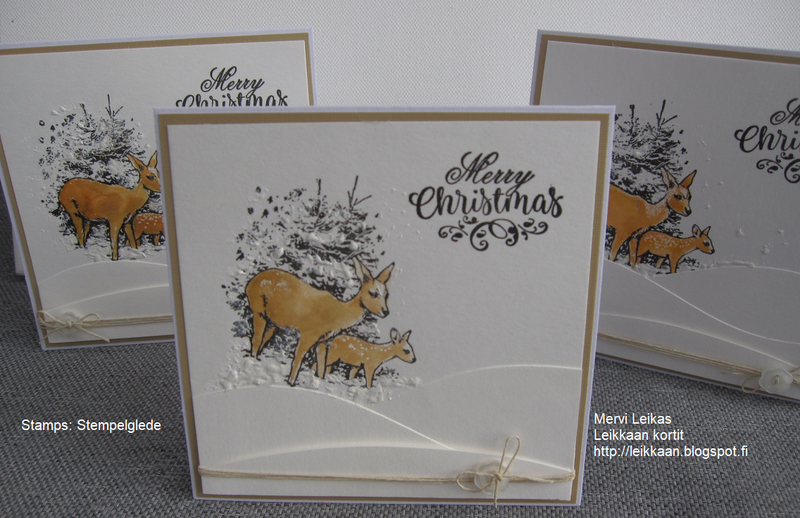 Lovely Christmas cards, Mervi. Thank you for sharing with us at ABC Christmas Challenge! We hope to see you again! I adore this card Mervi, beautiful.